Twenty-five years ago, award-winning architect Brigitte Shim was scoping out a location to build her home. “It was a derelict lot with six abandoned cars, and weeds that were shoulder height,” she says. Shim, a professor at University of Toronto at the John H. Daniels Faculty of Architecture, Landscape, and Design, decided the laneway in what is now Leslieville was the perfect space to design and build her dream home. Today, laneway housing is seeing a renewal. 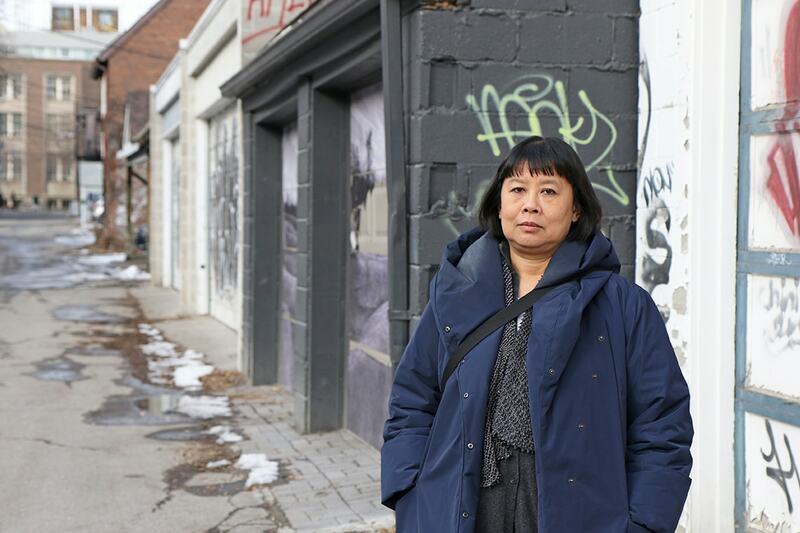 As housing prices and the cost to rent in Toronto continue to rise, architects like Shim, city councillors, community groups and the University of Toronto are exploring different ways to make the city more liveable and sustainable – and laneways have been a popular starting point. U of T is hoping to build around 50 laneway houses in the Huron-Sussex neighbourhood – across the street from Robarts Library. While it’s still in the planning stages, the university hopes to kick-start a pilot project by 2018 to build two laneway houses in the alley located just west of Huron Street and north of Glen Morris Street. “It provides a different texture to the neighbourhood. Because these units will be smaller, it does add to a range of options for housing so not just in the Victorian homes that are scattered through the neighbourhood but also the opportunity for smaller-scale and more affordable living,” says Christine Burke, director of campus and facilities planning at U of T.
According to the Laneway Project, there are 2,400 publicly-owned laneways in Toronto, stretching over 250 kilometres. While there are a few laneway houses, most of these narrow streets are lined with graffiti-covered garages and garbage bins. Building a home in a laneway is only currently permitted on a case-by-case basis by the city, and it could take a while to get the right permits. City Councillor Ana Bailão for Ward 18 and Councillor Mary-Margaret McMahon for Ward 32 are working with community groups Evergreen CityWorks and Lanescape to explore different policy options to make laneway housing more widespread. “Together as a group we're trying to change the conversation and push forward recommendations to the City of Toronto on how to make laneway suites doable in the city,” says Jo Flatt, U of T alumna and senior project manager at Evergreen. The university is working closely with the Huron-Sussex Residents Organization, the City of Toronto, Evergreen and Baird Sampson Neuert Architects to ensure that all parties are involved in the vision for the neighbourhood’s future. The neighbourhood has a high turnover rate because a large proportion of residents are students, and visiting faculty members and their families. Members of the Residents Organization hope new housing options will allow residents to stay longer either as homeowners or on longer-term leases. “If there's more housing, there won't be the imperative to keep moving people through,” says Julie Mathien, president of the Residents Organization. Shim hopes more neighbourhoods in Toronto embrace laneway housing. “Development doesn't mean tearing down all the buildings and starting from scratch. As homeowners need more space, more flexibility, it's something that can be additive and doesn't need to be a razing of the block,” she says. Other cities around the world including Vancouver and London, England, have already embraced laneway housing, creating models Toronto can emulate, says Shim. U of T’s architecture talent can play a big role in shaping the way we think about housing, she says.